Thanks to conservative pundit Armstrong Williams (who secretly took $250,000 from the Bush administration to hawk the No Child Left Behind Act, and claimed that others did too), minority conservative pundits are catching major hate from the venomous wing of the loony Left. Not that the lefties were sweet and kind before, mind you, but it’s still a nasty display of racism and bile from the folks who claim to be champions of downtrodden minorities. Not only did Williams do something wrong and unethical … he’s given fuel to the mouthbreathing moonbats, and hurt the rest of the conservative movement much more than Michael Moore ever could. Way to go, Armstrong. The outgoing Republican president of Colorado’s Senate digs through the entrails of the Democrat election victory there and identifies some themes that look eerily familiar to Ohio conservatives. It was motivation, above all, that powered this Democrat victory. Democrats were driven and hungry from decades in the political wilderness. Republicans were complacent and soft from too long in power. Their motive for winning was to get in there and do things. Ours, it often seemed, was merely to stay in there. These attitudes translated into discipline and unity for Democrats, indulgence and disunity for Republicans. GOP factionalism was endemic and fatal. The message gap was a consequence of this motivation gap. Democrats talked about making Colorado a better state, about not letting Republicans cut cherished programs, and about the GOP’s supposed obsession with “gays, guns, and God.” Republicans talked about … what? Other than denying their charges and hurling some back, we pretty much punted. Republican candidates picked their own issues locally. Churchill would have called it a pudding with no theme. Our campaign had what one analyst termed a sort of Nixon-Ford tiredness and blandness. I had considered, back in 2003, framing a conservative Contract with Colorado to provide a single, statewide framework for all 75 state Senate and House races. But after sizing up the competing intra-party fiefdoms and tensions, I decided not to start that fight. Mea culpa; I should have fought. “A Nixon-Ford tiredness and blandness” pretty accurately describes our own Governor Bob Taft, scion of a powerful old Ohio family and a politician whose strongest claim to conservatism seems to be the (R) appended to his name. He opposed the recently-enacted concealed carry legislation, opposed the gay marriage ban, and didn’t earn himself the nickname “Governor Tax” by accident. Three Republicans have announced their intent to replace Taft when term limits force him to step down in 2006: State Auditor Betty Montgomery, State Attorney General Jim Petro, and Secretary of State Ken Blackwell (toward whom I’m leaning at the moment, since he’s been burnishing his conservative credentials). Ohio Republicans need to find a bona fide fiscal and social conservative to take Bob Taft’s place. Once we have that candidate identified, we need to round up support early, before our tired and unimaginative party leaders anoint someone more “safe.” Pushing a bland pudding with no theme on Ohio voters isn’t going to get Republicans elected to state offices. Just look at what happened in Colorado. 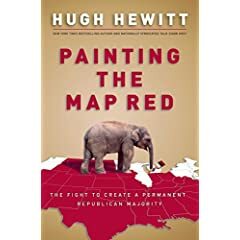 Then we need to identify districts with retiring or vulnerable Representatives and Senators in both parties, and cajole some conservative businessmen, military vets, and civic leaders to step forward and run for office. A truly conservative Legislature will cut our high tax burden and rein in spending, while returning our government to the pro-family and tough-on-crime stance that Ohio voters obviously want. Party discipline matters, but party survival’s more important. The Ohio GOP has gotten fat and lazy. It’s time to clear out the deadwood before the Democrats do it for us. My Senator lives two streets away, so I’ll start the grilling here. Who’s with me? In an article just published by The Sentinel (a conservative publication at Ohio State University), conservative student columnist Stephen Dronen relates his encounter with volunteers conducting a Democrat voter registration drive … and his resulting experiment in liberal-baiting. I took to the streets to see if my appearance had any bearing on their action. First dressing as I normally do; dressed in a pair of khaki chinos, a light blue Oxford, and a pair of brown Doc Martin�s, I entered the hostile territory. Not to my surprise, I walked right past the activists amidst a haze of “Stop the Bush Imperialists”, “No Blood for Oil”, and “Not My President”! It was as if they didn�t even see me. The first phase of my testing was complete; they had failed to approach me during three opportunities. Enter phase two: undercover. Garbed in a borrowed Pearl Jam t-shirt, a set of torn jeans, a pair of Birkenstocks, some thick rimmed “emo” glasses, and the quintessential hemp jewelry, I returned to the scene of the crime. It is amazing how different the experience was, as I was double teamed from the second I entered the intersection where two hours earlier the same people failed to realize I was even in their presence. It’s an entertaining read, so help yourself. Aw, shucks. Here we’ve gone ‘n won the ‘lection, and somebody done already let the cat outta the bag. Cain’t nobody keep secrets no more? Now that we’ve won the election, it’s time to capitalize. I offer three lists as starting points for thinking about what to do next. Here’s my off-the-cuff list of top political priorities that President Bush and the Republican Congress ought to pursue between now and 2008. Redouble the war effort. It’s no quagmire. We have the initiative now, so let’s exploit it. Reaffirm the Bush Doctrine. Then beef it up by repealing Section 2.11 of Executive Order 12333, which forbids assassination as a foreign policy tool. Stick Osama’s head on a pike. No arrest. No trial. Sure, as a martyr he’ll be an inspiration to terrorists, but he already is. His continued respiration makes us look weak. Kill him, kill his followers, and humiliate his fans. Crush the insurgency in Iraq. That means flattening Fallujah for starters. Men of Middle Eastern appearance between the ages of 16 and 40. Topple the governments in Iran, Syria, and North Korea. Use diplomacy, sanctions, and internal instability if possible. Otherwise use force. Field new weapons systems tailored for this war. Kill obsolete weapons systems. Pork be damned. Stop worrying about offending American leftists and don’t let them drive your policies. Unabashed conservatism wins and “the new tone” loses. We won, so start governing like it. Stop worrying about the media’s opinion of you. They’ll never like you, so get over it. It’s our votes you need, not theirs. Besides, the blogosphere’s here to stay, and the media dinosaurs will either evolve or die … and either way, you win. Appoint and confirm conservative judges. Cut taxes, regulation and especially spending. Pass the Federal Marriage Amendment. Boost military pay (especially combat pay). Replace the tax code with a national sales tax (or at worst, a flat tax). Expand the majority in the Senate and House in 2006. Europe is about to come crawling for our forgiveness, because they’re realists and they know we’re in the driver’s seat for good. Be polite, give them some of the financial action, but never defer to their judgment on anything. Move the federal budgeting process to a two-year cycle. If the Partial Birth Abortion Ban dies in the Supreme Court, pass it again and keep fighting. Consider a newer, better GI Bill; ask the troops what they want. Leave the United Nations. It’s rotten to the core, and has long outlived its usefulness. This will help with #10, above. As for the military, there’s still a lot of work to be done. Add at least two divisions to the Army. Ease up on deployments for the Reserves & National Guard. In recruiting, continue the shift from “here’s what you’ll get” to “here’s how you can serve“, because we want warriors and not half-hearted mercenaries. Get sophisticated in your recruiting. If your efforts look half-assed, then you’ll get the recruits you paid for. Cultivate frontline warriors among noncoms and junior officers. Get the combat lessons they’ve learned into institutional memory now, before they leave the service. Last, a list for the conservative blogosphere. Destroy the credibility of the mainstream media. I’ll add to the lists and expand them as things come to mind. Just got this in the ol’ e-mail inbox. It’s a well-circulated retelling of an old fable, but it’s still funny. Kermit the Frog appears on Oprah with the grasshopper, and everybody cries when they sing a duet version of “It’s Not Easy Being Green.” Jesse Jackson stages a demonstration in front of the ant’s house where the above media film the group singing “We shall overcome.” Jesse then has the group kneel down to pray for the grasshopper’s sake. Finally, the EEOC drafts the “Economic Equity and Anti-Grasshopper Act,” which Congress passes with a veto-proof majority and makes it retroactive to the beginning of the summer. The ant is fined for failing to hire a proportionate number of green bugs and, having nothing left to pay his retroactive taxes, his home is confiscated by the government.